More than one billion people volunteer globally. Considering the hours they contribute, this is equivalent to over 109 million full-time workers. This global volunteer workforce, or "Volunteeria" as the State of the World's Volunteerism Report 2018 calls it, exceeds the number of people employed in six of the 10 most populous countries worldwide. The vast majority of volunteer work happens informally, with 70 per cent of all people who volunteer working directly to help people in their communities, while the remaining 30 per cent volunteer through formal organizations. Women represent 57 per cent of all volunteers. 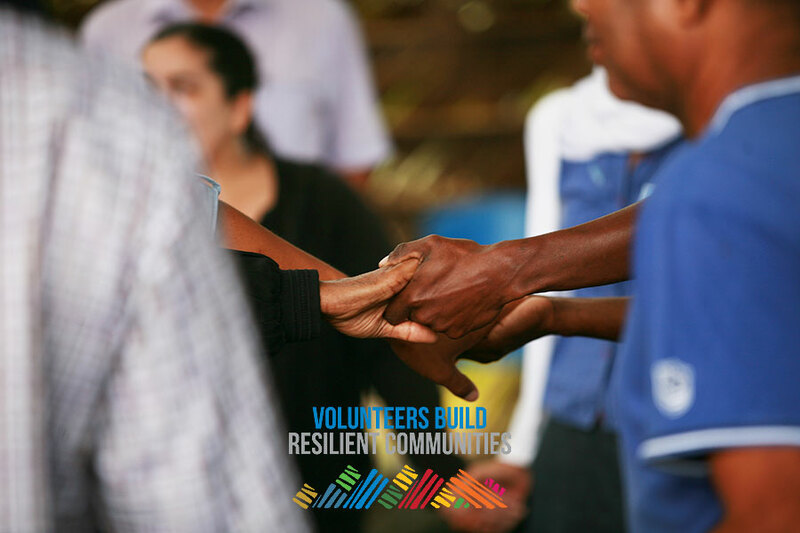 On International Volunteer Day 2018, we celebrate the contributions of volunteers around the world building resilient communities. International Volunteer Day 2018: Volunteers build resilient communities. By coming together to volunteer, the sense of solidarity and connections among people working together are also strengthened. This is especially important for the most isolated and vulnerable communities where other types of support are limited. Volunteers strive for a better world through their actions. In the face of myriad crises, volunteerism gives us hope. And in general, local volunteers build the bonds that hold a society together. The 2018 State of the World’s Volunteerism Report provides evidence reinforcing the enormous potential of volunteering as a core foundation of resilient communities. Volunteers weave the safety nets that societies need and with the right support, they can create communities that are inclusive and capable of coping with crisis. The vast majority of volunteers are already working day in, day out in their own communities. Each one of us can volunteer and change the world – locally and globally – for the better. Around the globe, UNV is marking International Volunteer Day. Check out our regional partnerships, event and coverage: volunteers weave safety nets for societies, volunteers enhance inclusion for all, volunteers enhance learning and empowerment, and how we are uniting volunteers for resilience. On this International Volunteer Day 2018, celebrate the efforts and achievements of volunteers serving their communities worldwide.